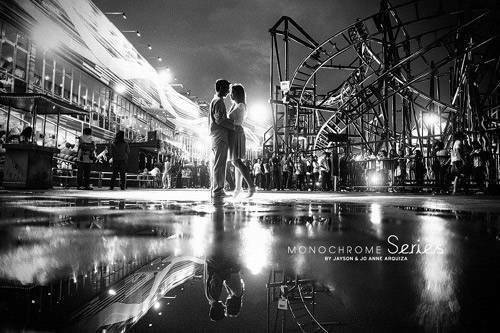 From fairytale to grunge, phone numbers to prices, we give you the best places to have your engagement photos in Manila. Planning your photoshoot has never been this easy. Click for more. (SPOT.ph) The wedding is perhaps the most important day of your life as a couple, but it’s still only one day in your relationship. 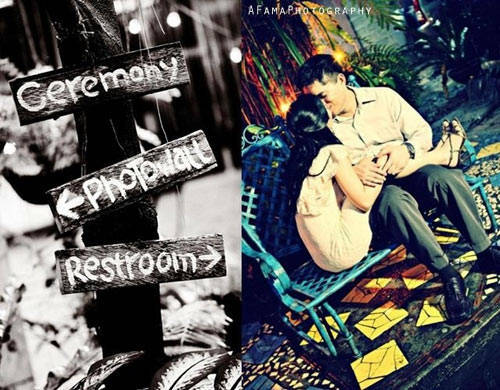 Recount your memories and show it off to your guests through a series of photos that best encapsulates your romance. Prenups have traveled leaps and bounds from simply standing and posing at a studio to taking cheesy portraits on your family porch. 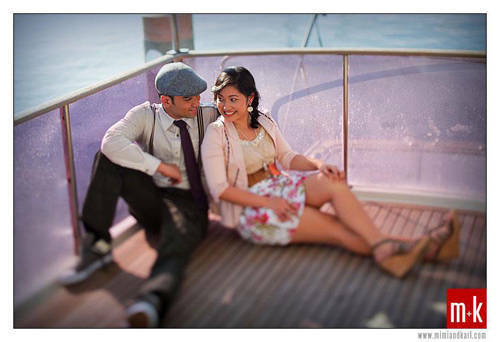 On-location prenup shoots are the latest trend in wedding photography. While some couples pack up to scenic beaches and gardens hours away, we say: Save the gas money and out-of-town fees! The city has a wealth of gorgeous spots that scream "photogenic." We want to help alleviate your prenuptial stress so, as a gift to our betrothed readers, we did the legwork for you. 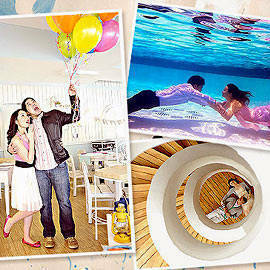 We suggest 12 favorite prenup themes and where to shoot them in Manila. Telephone numbers, contact persons, e-mail addresses, and even prices (and potential photographers! )-we have them all. 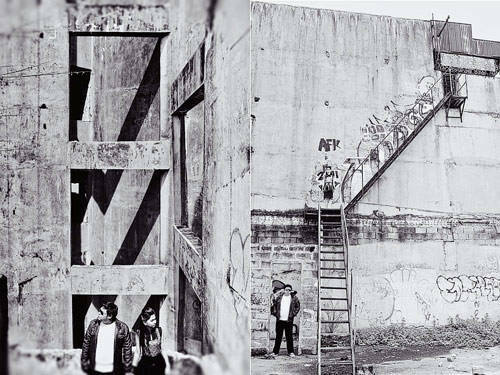 From rustic chic to zombie themed, Alabang to Quezon City, you’ll definitely fall in love over again in these locations. Nothing speaks of sophistication more than being surrounded by beautiful artwork. These couples bond over Van Gogh, Rembrandt, and Cezanne; their honeymoon is already set to Paris where they'll visit, what else, The Louvre. Roll chic-ness, elegance, and ingenuity all in one in an artsy shoot. Opt for kitschy and celebrate the art of filmmaking in this museum. Prenup Price: P4,000 for four hours with P500 for every excessive hour and another P500 for the caretaker fee. Additional fees may also be charged. Go for Old World glam in this art deco-styled locale. The Heirloom has that well-worn feel that's both on the vintage and artful side. The minimalist-modern interior speaks for itself. We can hardly believe the Japanese-styled architecture was inspired by a mattress. Fairytale themes have become default for most romantic brides. But after years of dreaming and imagining, reality might fall short of their expectations, especially when geography's not exactly at their favor. So, we scoped out three scenic locations-which we think can live up to that vision-that are so gorgeous, we were hard-pressed to believe they're smack in the middle of the city. Emulate Aladdin-like decadence in this majestic palace. 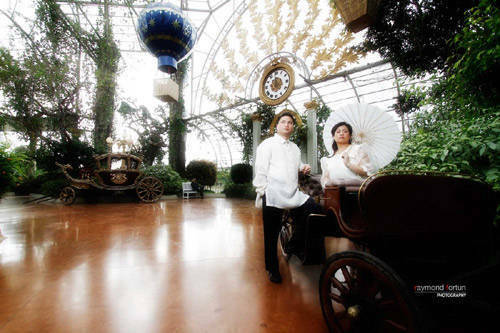 Prenup Price: P14,000 for five hours inclusive of VAT and a free bridal room for costume changes. With its lush greenery, forest, and lake, you can easily channel your inner Disney princess. Prenup Price: Just the P20-P40 entrance fee. Additional rates may apply, however, for some amenities like the pool, pavilion, etc. Also, print out a letter addressed to the park administration (to be given on the day of the shoot) stating that none of the photos will be used for commercial purposes. It's Manila's own version of fairyland complete with fluttering butterflies. Okay, so Manila can't compete with surf, sea, and sand. But it does have places that offer the same soothing, sort of tropical ambience. This venue exudes a rustic yet serene charm. Prenup Price: Booked clients are given a complimentary two-hour shoot. For non-clients, P5,000 will be charged for two hours, and P1,000 for every extra hour. 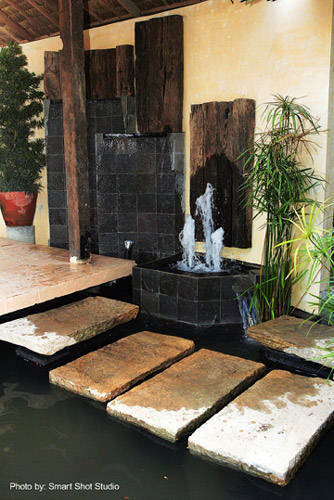 This Balinese-style space complete with palm trees will soothe the city stress away. Price available upon request. The Grand Terrace prioritizes couples booked in the facility for weddings or receptions. Here, personal style is key. Nothing generic, nothing overused, and especially nothing conventional. These venues leave room for the couple's unending ingenuity, quirks, and their closet of skinny trousers. Be cute and quirky in Heima Shop 33. 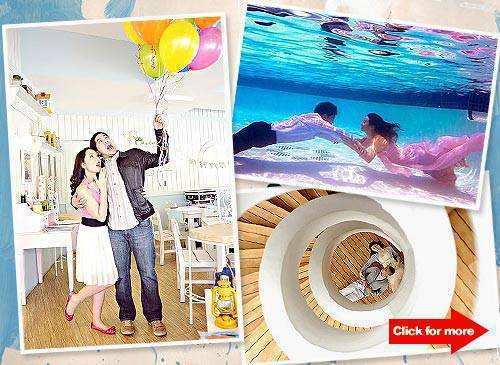 Prenup Price: Package A consists of P2,000 per hour for a minimum of two hours on weekdays; P3,000 on Saturdays. Maximum of six people only. An additional P500 for use of electricity outlets. Cash payments only. Click the link for more packages and rates. Let your creativity run wild in this diverse space. Show off your sense of fun at Space Encounters. 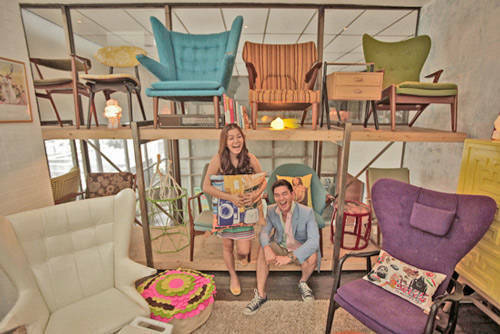 Prenup Price: P1,000 per hour if shoot requires the store to be closed. Not so much for tradition? In the mood for a little fun? After the Left 4 Dead, Walking Dead, and PvZ craze, zombie-themed prenups are all the rage lately. Our sample photos may not show it, but with the right styling, these haunts will add haute eeriness to your wedding. Push for grunge in this "deconstructed" edifice. Just drop by, but be careful. Kamikazee frontman Jay Contreras wed his wife Sarah Abad in a goth-inspired black wedding at Paco Park. Get their look! Price available upon request (depending on duration and concept). Send a letter addressed to Ms. Juliet H. Villegas, Executive Director of the National Parks Development Committee, indicating intent and shoot details. Price available upon request. Prenup shoot is subject to approval by the administration. Fax a letter to 833-4484. Symbolisms are always fun. Let these photos mark the start of your journey together, wandering through the map of life, and experiencing new adventures. Pretty deep stuff may lead to pretty awesome photographs. Journey through life in style. Price available upon request (depending on distance). The Black Fleet is also available for weddings and events. Photo from The Black Fleet's Facebook page. Start coursing through your new journey together aptly in our national airport. Photoshoots are subject to approval by the Media Affairs Division. Submit a letter of intent as well as a list of equipment and participants addressed to Ms. Ma. Consuelo Bungag, media affairs manager two weeks before date of shoot. For more on this prenup, visit Bridalbook.ph. Prenup Price: P6,000 (Mondays to Thursdays) and P8,500 on (Fridays to Saturdays, holidays) for three hours (docked) without electricity and maximum of eight people only. All cameras should be battery operated. Make your prenup double as a sightseeing tour. History buffs will have a kick posing with some of the country's most monumental structures and places. 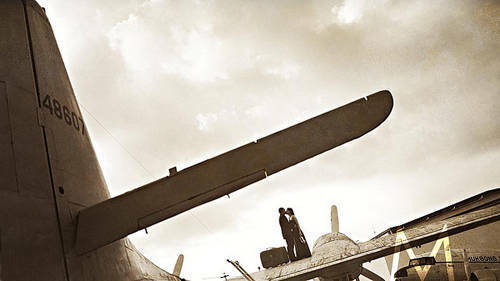 These war-torn sights add a nice rustic, even romantic charm to the photographs, as well. There's nothing more picturesque than Old Manila. Choose from Casa Manila, Plaza Moriones, Fort Santiago, Baluarte de Dialo, Baluarte de San Andres, Baluarte de San Diego, Jardin de Padre Blanco, Puerto Real Gardens. Here are just some things to take note of when booking a shoot on this historic ground. Send a letter of request to Mr. Jose Capistrano Jr., Intramuros Administrator, and deliver it to the 5th floor, Palacio del Gobernador corner General Luna and Aduana Streets, Intramuros, Manila. Make sure to spell out your intent and preferred three locations around the area. The request may take two to three working days to process. Once approved, a fee of P2,000+ must be given in cash or check. Shoots are allowed from 8 a.m. to 12 p.m., Mondays to Saturdays only. Moreover, some locations require additional fees. An architectural masterpiece, this scenic Greco-Roman structure is a favorite among couples. Just drop by-only make sure you don't disrupt day-to-day operations. E-mail: pio@paf.mil.ph Price upon request. Photoshoots are subject to approval. Fax a letter of request to Col. Miguel Ernesto G. Okol, PAF (GSC) indicating intent and shoot details. Nothing too overwrought, nothing too glamorized. Just simple and organic. This type of couple believes their love needs no frills. They only want to preserve their sweet, candid, casual moments together-albeit in a stylized fashion. Picture this: A man and a woman fall in love amid the billions of people in the planet. Now isn't that what love stories are made of? 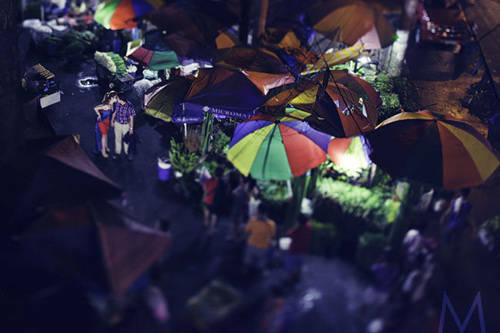 Encapsulate this ideal in a photoshoot where the two of you "find" each other in a busy crowd. Prenup Price: Just a brazen face and the courage to shoot with strangers watching. You might also want to source your wedding blooms here just to save a trip. Let your romance be inspired by your literary heroes. 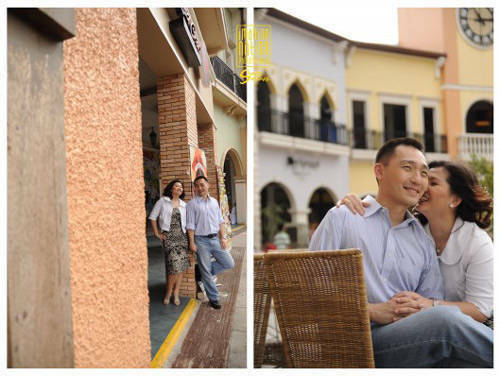 Step inside Venice-Pinoy style-and capture Italian amore in this idyllic plaza. Vintage themes are a favorite because they can be sophisticated yet totally offhand. Plus, there's tons of room for personality. A-11's elegant vibe may channel hot '20s glam, but its vintage furniture keeps it modest and homey. It can easily pass as a warm 1950s American home. Add a poodle skirt, tease your hair, and you'll be zoomed to Stepford in a flash. A snazzy shoot in this '50s-style diner will surely set a groovy mood. Go for the old-fashioned approach. Warm and casual never fails to highlight romance and at a very sweet and organic level at that. When opting for quaint and charming, all you really need is love to make your photos shine. 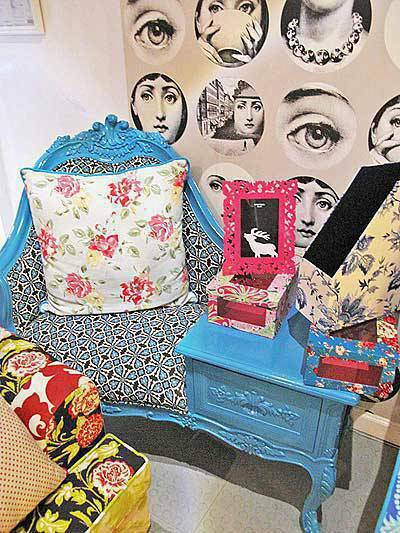 Country with a touch of quirk, Isabelo is a conventional garden setup with kitschy and peculiar décor made mostly of recycled scrap materials. Try being whimsical and rustic at the same time with Pan de Amerikana's bucolic setting and giant chessboard. Set a date (weekdays and non-holidays only), time (from 9 a.m. to 11 a.m. and 2 p.m. to 4 p.m.) in advance. No pets allowed, don't bring food from outside, hair and makeup must be done prior to the shoot. Prenup Price: It's free so long as you eat there (minimum of P100 per head). Sugar and spice and everything nice. Your lovable personality will complement perfectly with Stacy's cute and cozy interiors. Make sure you get a shot of the pink refrigerator. 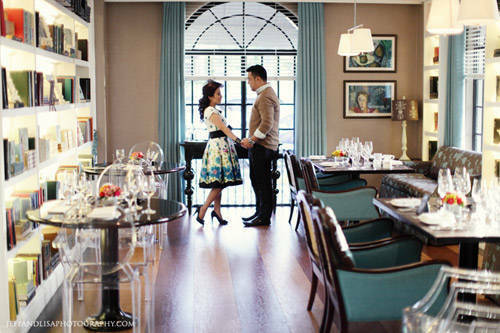 Prenup Price: P3,000 per hour from Monday-Thursday; For exclusive use of the restaurant, it’s P20,000 for three hours. 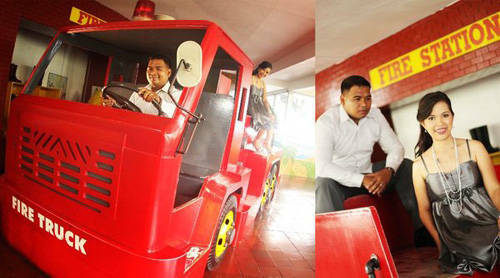 For some couples, the prenup is an opportunity to fulfill childhood modeling aspirations. Complete with a stylist, mood boards, edgy poses (and pouts), these types of shoots are styled a la fashion pictorial. While conceptually, an editorial can be taken anywhere, our suggestions will add dramatic flair to your stylish love story. Remember Michael Cinco's epic "trash" shoot in America's Next Top Model? We're not about to ask you to celebrate your love in a dumpsite but why not go for chic contrast? Glam up at the fashionably mottled trains of PNR. For more on this prenup, visit Bridalbook.ph. Note: We recommend a photographer who's an experienced diver for safety reasons. Conquer new heights together atop a tower. Can't decide what you want? Multiple themes in mind? These places can cater to practically any theme you can think of. 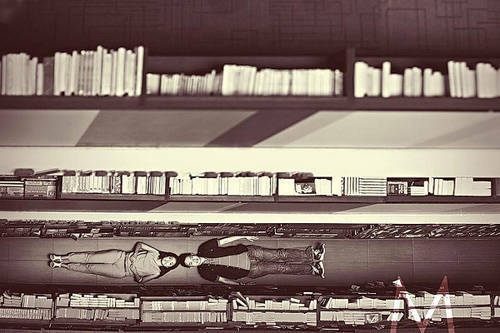 Photo by Pictratto. For more on this prenup, visit Bridalbook.ph. Photo by Francis Perez for Pat Dy Photography. 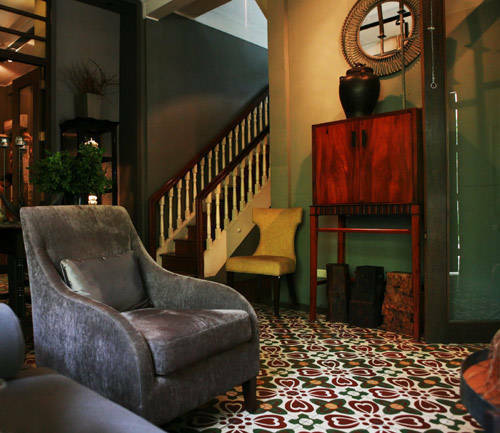 Aim for playful eclectic in Victoria Court's themed suites. Be Jean and Scott in Cerebro, groove as Austin Powers in the Austin Party Room, or "come what may" at the Moulin Rouge Lounge. You can also travel the "world" in their Niagara Falls, Oval Office, Cleopatra rooms. Victoria Court has 10 branches in Manila. Click here for the addresses and contact numbers. *Note: Some places may be used for alternative themes depending on the styling. For your wedding needs, visit Bridalbook.ph. China warns PH against setting up kindergarten school on Pag-asa Island in Palawan, says it "may infringe on China’s sovereignty"